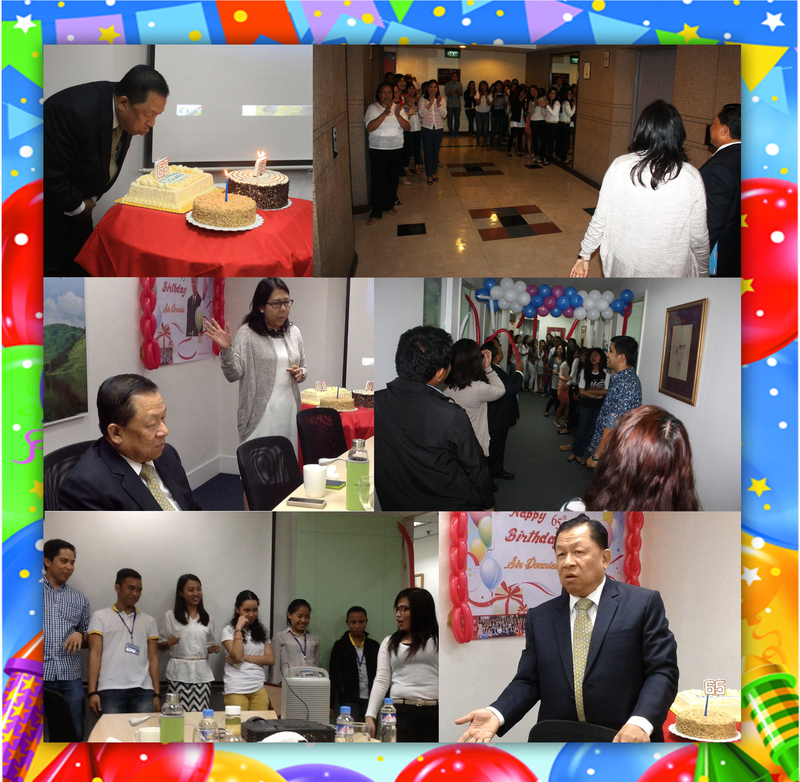 FEBRUARY 20, 2015 – marks the 65th birthday of Alas Oplas & Co., CPAs Founder, Chairman and CEO Mr. Donnies T. Alas. Filled with delectable food, fun games, sincere messages and birthday presents, it was truly a memorable day to Mr. Alas. The presence of our Sr. Partner, Marycris Oplas, who cheerfully led the surprise birthday song as DTA enters the ofﬁce, makes it more even special. A visionary leader that he is, Mr. Alas wishes nothing but for all employees to continue, stay and grow professionally A visionary leader that he is, Mr. Alas wishes nothing but for all employees to continue, stay and grow professionally in Alas Oplas. A simple presentation on the wonderful journey of Mr. Donnies Alas was prepared to the delight of celebrant and all employees who took part in the celebration. A fun game initiated by Aji Acosta concluded the birthday celebration. To our CEO and Chairman, we wish you a happy birthday and great years ahead!